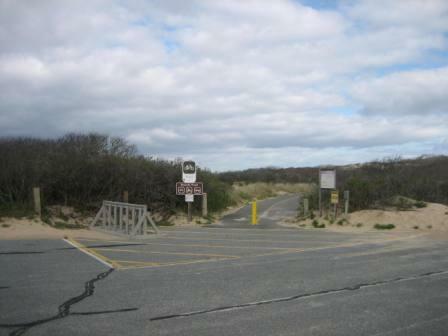 Driving/Parking Directions: Route 6 past traffic lights in Provincetown and right at Provincelands Road. 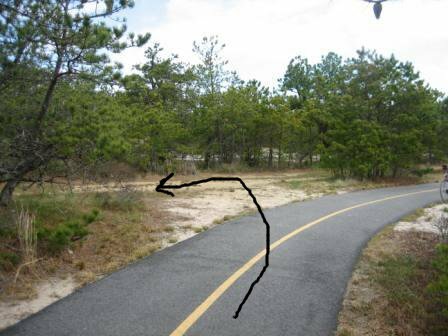 Take first left into Herring Cove Beach parking lot, turn right after ranger booth. This is a National Park area and fees are collected in season. The National Park Senior Pass is valid. 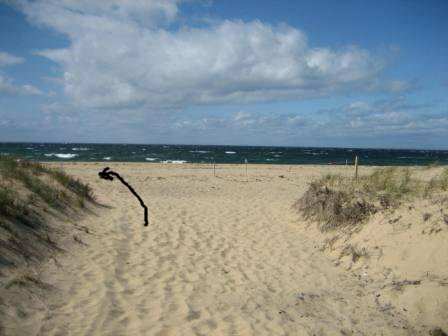 Meet at the far end of RIGHT hand parking lot in Herring Cove Beach. Start on the bike path heading north east (only option) for just over 0.9 miles where road, fire road and bike trail intersect. Turn sharp LEFT onto fire road heading north west, towards the ocean. 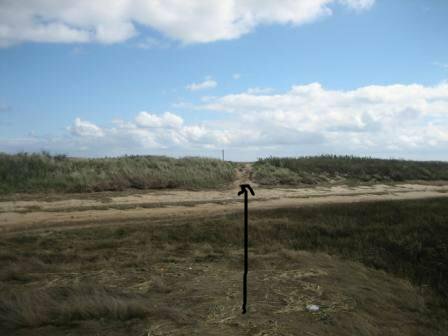 Follow to end of dike, turn LEFT and down onto the sand and walk toward the Lighthouse. 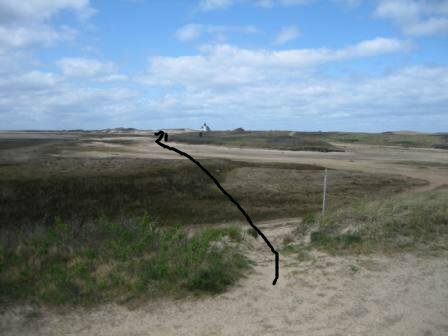 Go straight when you hit the sand (see picture) and continue with the bank and high tide mark on you right and the Provincetown tower visible on your left until you see a small path through the marsh grass. Take this path. Cross a small stream and continue toward the lighthouse. After viewing buildings. 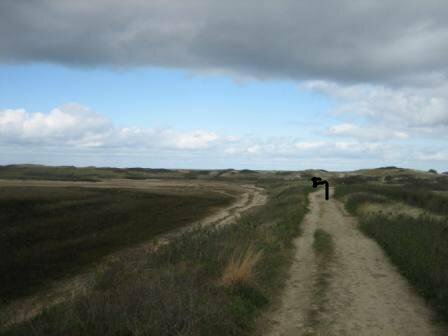 walk to beach and look for whales. 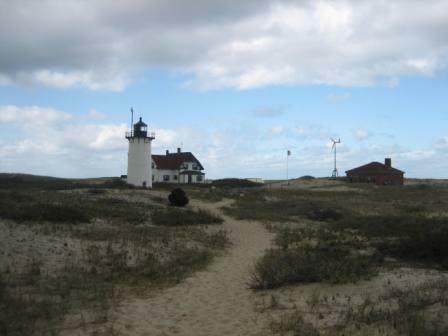 On the beach with the lighthouse behind you, turn LEFT and walk along the beach to Hatches Harbor. 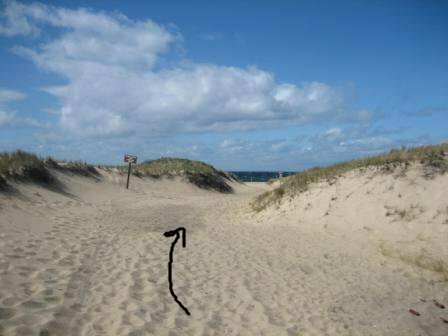 Be respectful of the piping plover protected areas on the beach. Follow the shore line back to the dike. The dike has a culvert allowing the water to pass under to the other side. 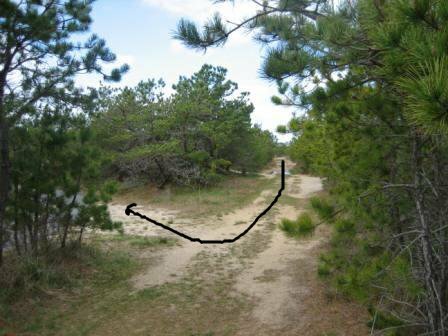 Keep this culvert visible on your return trip and keep the Provincetown Tower always visible on your right. 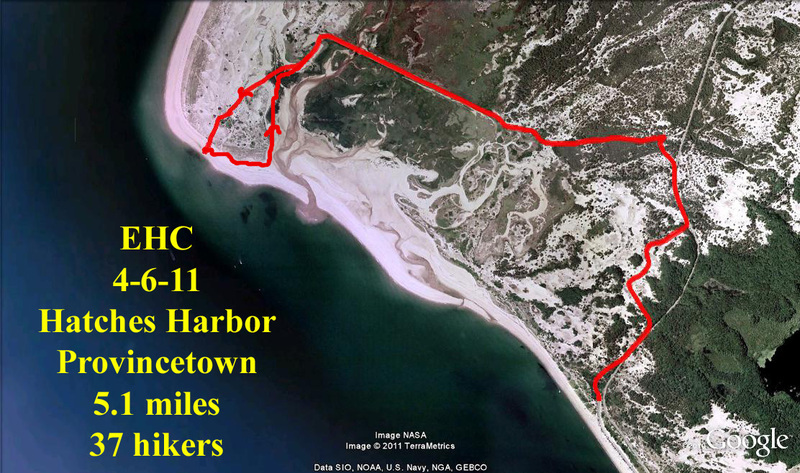 See an NPS link regarding Hatches Harbor.